For the past few months, Larry has been leading a workshop using all of the tools of the Lab to make guitars with three folks from genericclomid CCRI (Tom Morrissey, Raymond Lagare, and Raphael Avant). 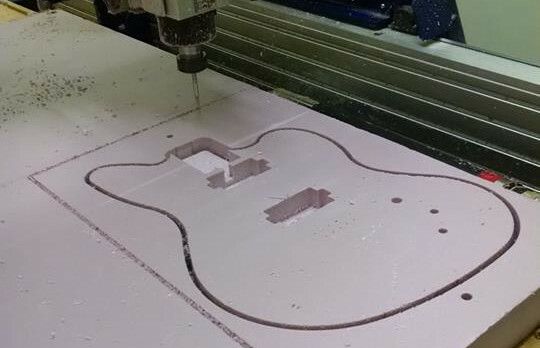 They’re working with some CNC guitar kit designs from Sinclair College. See more on their Facebook page.